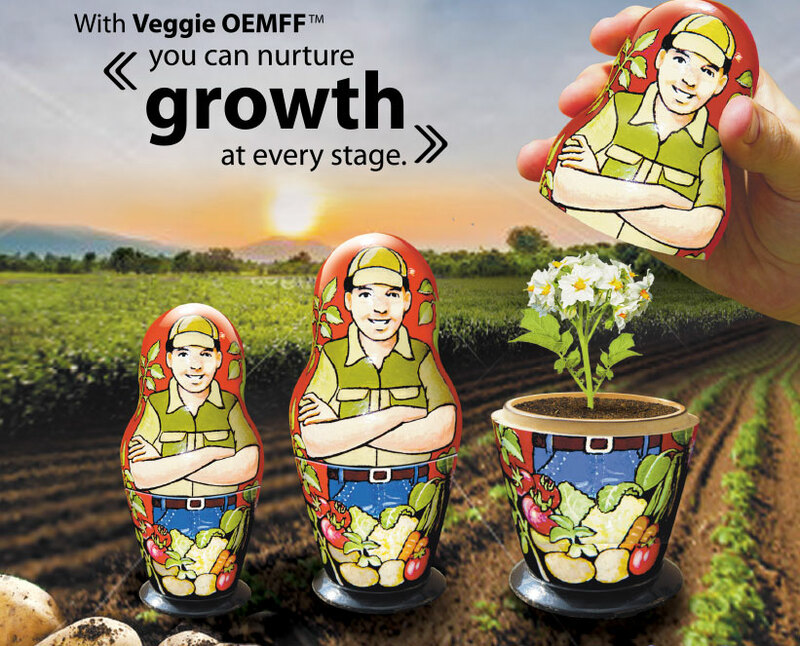 Our Veggie OEMFF® have been specially formulated and are growth stage specific. Veggie OEMFF® from Kynoch will boost your veggies to reveal only their best at each growth stage. The Veggie OEMFF® range comprises of three tailor-made formulations, i.e. Veggie OEMFF® Starter, Veggie OEMFF® Grow and Veggie OEMFF® Fruit, to complement the macro and micro nutritional requirements of the plant at a particular phenological stage. It supports and enhances root development, growth, flowering and cell enlargement and assists in the mitigation of crop stresses whilst attributing towards excellent yields and profits. Veggie OEMFF® Starter is effective early in the season where root development and the establishment of the young plant are of the utmost importance. Veggie OEMFF® Grow enhances growth because of its specific element composition, while Veggie OEMFF® Fruit plays an important role in flowering and cell enlargement of fruit and bulbs. Note: Foliar sprays should be used in conjunction and support of normal fertilizing practices, whilst the use of a suitable sticker is recommended.